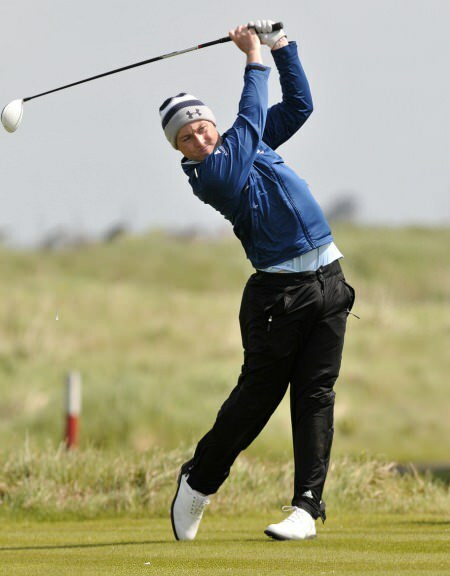 Robbie Cannon driving during the second round at the AIG sponsored Irish Amateur Close Championship at Connemara. (09/06/2013) Picture by Pat Cashman The first half of the amateur season is done and dusted and after a couple of weeks off, the second half is about to start with the North of Ireland starting Monday. I’ve been working on some technical stuff on my swing with Seamus Duffy the last couple of weeks so hopefully I can go into competition mode by Monday. It’s important to keep working on the fundamentals and skills when you get some time off. It can be very hard to do this during the season in Ireland with so many tournaments in quick succession. But I have done some good work the last couple of weeks and it will keep me in good shape for the reminder of the season. I’m hoping the second half of the season will be just as exciting as the first half. It has flown by so quickly but I guess thats what happens when you are having fun. I’m going to write a little about my thoughts on each tournament so far this season and I’ll start with the latest tournament first. 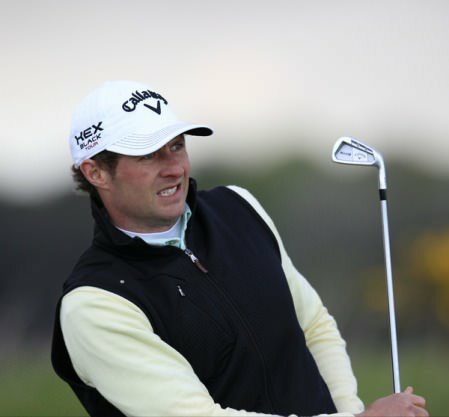 Royal Cinque PortsI played the Princes course first and shot 76 in gale force winds. I played really well and had the ball under control. I hit two bad shots and they cost me a triple on 10 and a double on 14. I was just off the fairway left and was really unlucky to lose one ball and have an unplayable lie on the other. The rough was very patchy but extremely thick in parts and I managed to get the thick stuff. So my 76 was a really good score in the conditions and with a triple and double. It left me in good shape to make the matchplay stages. The next day in calmer conditions I did not quite control the golf ball as well as I hoped. Even still, I was level par playing 15 and four pars would have got me in. I hit my first really poor shot of the week with my second shot and made six. Knowing I needed birdies I lipped my birdie putt on 16 and it went five feet by and I missed the return. So my race was run. I was disappointed but I certainly didn’t get the breaks this week. It’s a great tournament and I’m looking forward to hopefully playing it next year in Royal Portrush. Robbie Cannon on the 11th during the 1st round of the Irish Amateur Close Championship 2013 at the Connemara GC Sat 8/6/13 Picture: Thos Caffrey / www.golffile.ieThe one regret I have this season is playing in this event. It was my seventh weekend in a row playing golf. Physically I was feeling great and I really fancied my chances of going close. But the previous months exertions had caught up on me and left me mentally tired. I actually hit the golf ball very well but my putting was awful which is not like me at all. I had 33 and 38 putts in my two rounds which is at least 10 too many. I was very disappointed on the drive home for several reasons. I knew missing the cut that I would not make the six-man team for the Europeans. The competition for places was so hot that any drop in performance from any player in contention would cost them their place. It is such a strong team that I’m very confident they can bring the trophy home and I wish the lads the very best of luck in getting the job done! I was also angry with myself for not taking the week off as I could recognise the signs of mental fatigue. Taking the week off would have also left me rested for the British Amateur. But it’s hard to take down time when you are playing well. Lesson learned and onwards and upwards. Robbie Cannon on the 16th tee during the fourth round of the East of Ireland Amateur Open Championship, Co Louth GC 3/6/13 Picture: Thos Caffrey / www.golffile.ieI love this tournament and I’d truly love to win it someday. Confidence was high and really fancied my chances of finally winning it this year. I got off to the worst possible start with my caddy not showing up and taking a double on the first. I was not at the races at all and finished with an 80. Baffling! The next day it was a completely different story and I played really well. I started on the 10th and I was one under for the day playing the seventh which was my 16th. 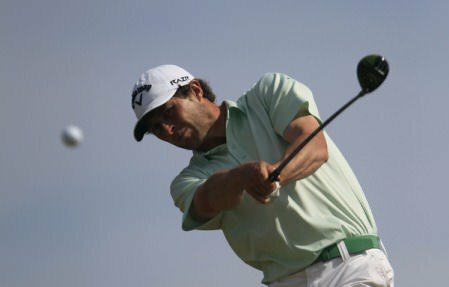 I knew I needed a couple of birdies to make the cut and I struck a crisp seven-iron to 12 feet on seven and holed that. I then hit an eight-iron to six feet on eight for another birdie. I ripped an eight-iron to four feet on nine to finish with three birdies and a bogey free 68 to make the cut with a couple of spare. I was really chuffed to finish like that and produce the birdies when I really needed them. With that confidence from the second round I had the golf ball on a string in the third round. Starting on the 10th again I was five under playing the seventh when my nine-iron found the green and stayed for about ten seconds before rolling off to the side. I couldn’t get it up and down and made my first bogey in 33 holes. I made par on my last two to finish with another 68 but in reality it easily could have been 63. I was only a few off the leaders and with a good afternoon round I felt I could challenge the leaders. The last round I hit a poor shot to the first and made bogey. I then had a couple of three putts on the second and third and lost all the momentum of my morning play. I chased it a little to try and get the dropped shots back but golf can be a hard game when chasing birdies. A very disappointing 79 was the result and I dropped down the field. It really was a crazy week with my caddy not showing (he’d never done that). Having two almost flawless rounds and two very poor rounds was particularly crazy! I’m normally very consistent so this was a baffling tournament to analyse. But a lot of really good stuff so I took a lot of positives out of it. 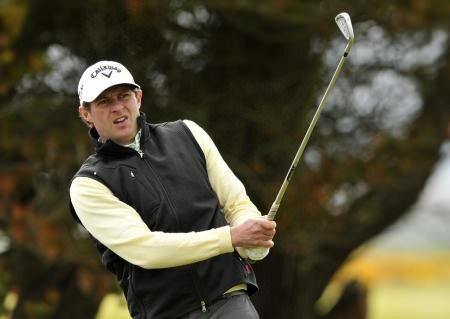 On the fifth tee during round one of the Mullingar Scratch Trophy, 18th May 2013. 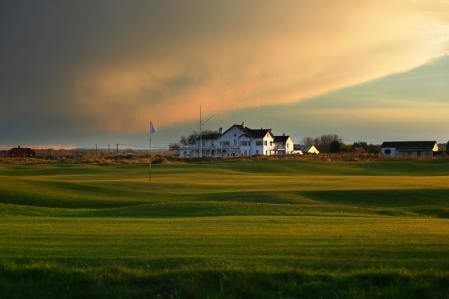 Picture: Thos Caffrey www.golffile.ieApart from a poor second round I played really solid including a nice 67 to finish which may have been a 64 with a bit of luck. I got to within a couple of the lead at one stage before the winner made a few birdies. I finished tied fifth which I was happy with after the demands of the previous week. It is a fantastic tournament and run by one of the nicest gentlemen you could ever meet, Mr Albert Lee. It is good that it is back to its traditional August date next year as having it in May really bunched up everyone’s playing schedule. Robbie Cannon plays his second shot from the rough on the 17th hole during Sunday’s final round of the 2013 Irish Amateur Open Championship at The Royal Dublin Golf Club, 12th May 2013. 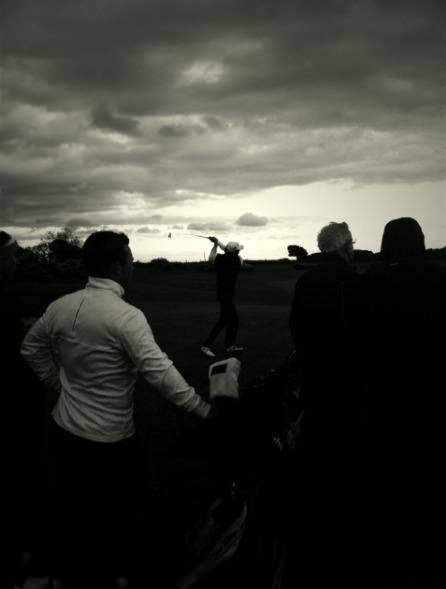 Picture: Eoin Clarke www.golffile.ie.An amazing week and I’ll remember it forever. Golf really is a crazy game. My practice rounds were terrible. I don’t think I’ve ever hit the golf ball so badly. Expectations were pretty low. But having done some work with one of my team Thursday afternoon, mentally I was in a much better place. I got off to a hot start on Friday and was four after eight. I managed to play the back nine pretty well into the gale force wind and finished with a 70. I was one off the lead and bang in contention. I had putted very solidly. Putting solidly was probably the key to the victory. My holing out was first class. I didn’t miss anything inside five feet for the week which was very pleasing considering the conditions. People who have never won before always think that you have to hit the golf ball perfectly to win a tournament. It is not always the case. 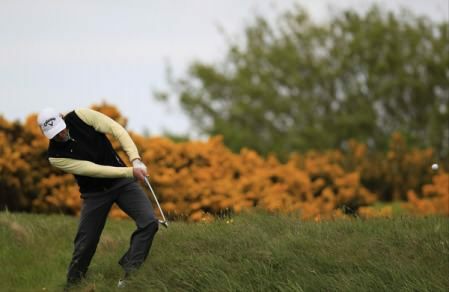 Robbie Cannon plays his approach to the first sudden death hole in the 2013 Irish Amateur Open. 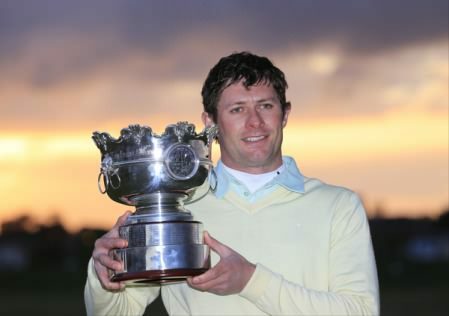 Picture © Brian KeoghWhen I won the South in 2009 sure, I did hit the golf ball extremely well. I did hit the golf ball very well this week but it was more in nine-hole spurts. For example I played the back nine (into the wind) in my third round in one under and could have been four under, my ball striking was that impressive. That stretch of nine holes probably won me the tournament. In the tough windy conditions bad shots were inevitable and when I did hit a bad shot I managed to limit the mistakes, which was crucial. I have been asked a lot about my approach to the 18th in the third play off hole. I had a bad lie on the side of the bunker and had 205 left. Laying up never entered my mind for a second and I was amazed to read so many people saying they would have laid up. It just shows you how in the zone I was at that stage of the tournament. Robbie Cannon poses with the trophy following his win in the 2013 Irish Amateur Open Championship at The Royal Dublin Golf Club, 12th May 2013. 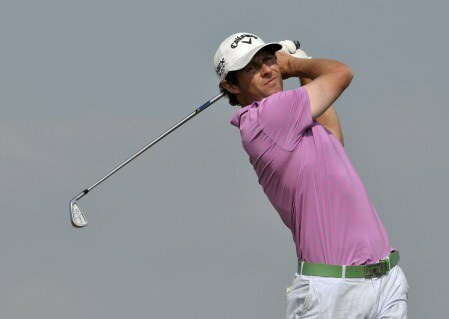 Picture: Eoin Clarke www.golffile.ieI hit a great putt but raced it eight feet by. After hitting my best shot of the week I then holed my best putt of the week. Downhill, left to right and a left to right wind. It was probably the greatest putt I have ever holed and I will remember it for a very long time. Without doubt my fitness was a big reason behind my win. I won on the 40th hole of my day. The fourth play off hole. I could have played another few holes without fatigue I know that for certain. All those 200 metre sprints in Santry, all the squats and deadlifts. All the core work. It was all for those closing holes in Royal Dublin. People always wonder why is fitness for golf important. Well, it’s for those closing holes of a tournament or a round, when your weakest link can be exposed. Winning on my 40th hole of the day really justifieid of all the work I had put in. Robbie Cannon goes though his pre-shot routine at Royal Dublin. 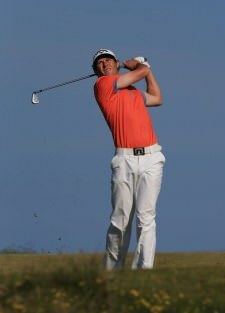 Picture by Pat Cashman Robbie Cannon might have to travel to next month’s Amateur Championship under his own steam but that doesn’t mean he hasn’t got something to bring to the Irish international set up this season. 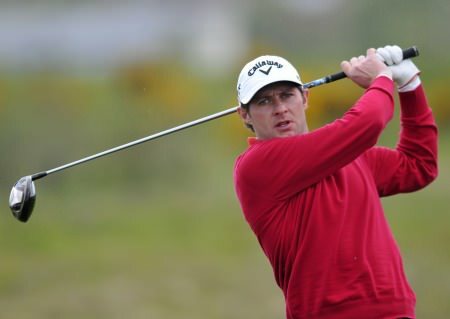 Robbie Cannon is not happy that he’s missed out on selection for the Home Internationals. . Pictured during his playoff win at the Irish Amateur Open by Eoin Clarke www.golffile.ieWhen a player gets more texts and phone calls after failing to get picked for a team than he does for winning a major international championship, something doesn’t add up.